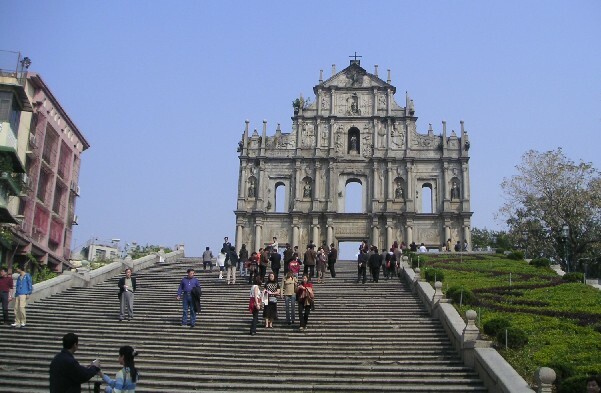 I took a daytrip to Macao with Gyula, Andras and their Mom. 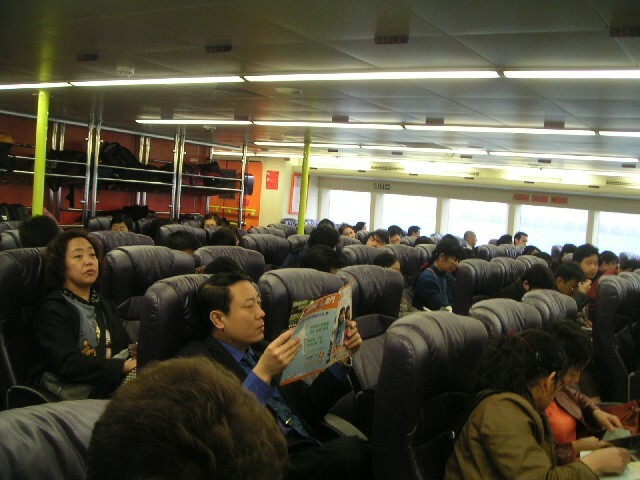 We took a high-speed ferry over - it took a bit more than an hour to get there, but we were more comfortable than in an airliner. The arrangement is similar, but there is more room. 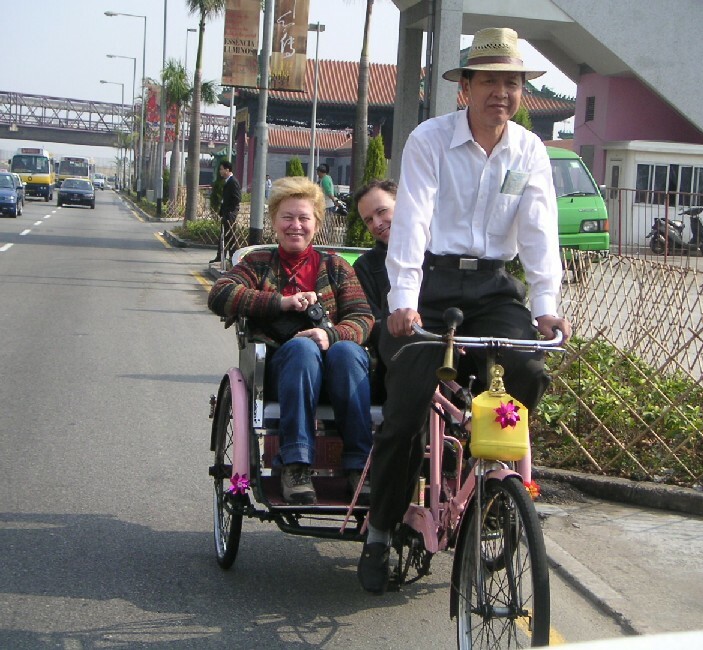 There were more modern alternatives available, but we chose to take two rikshas to the town center. 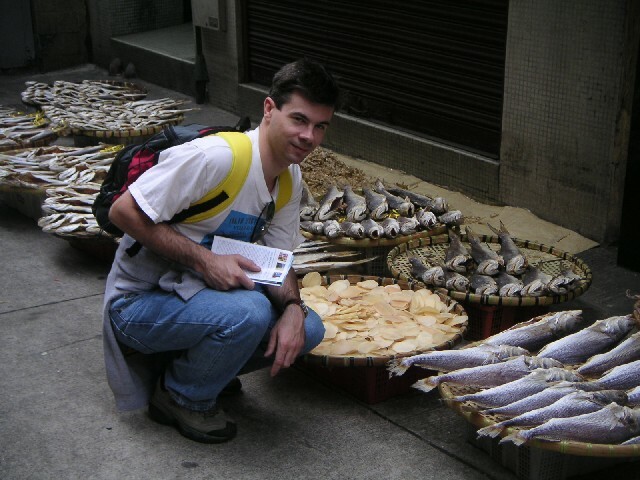 This is really just a thing for tourist, rikshas are not common in Macao. 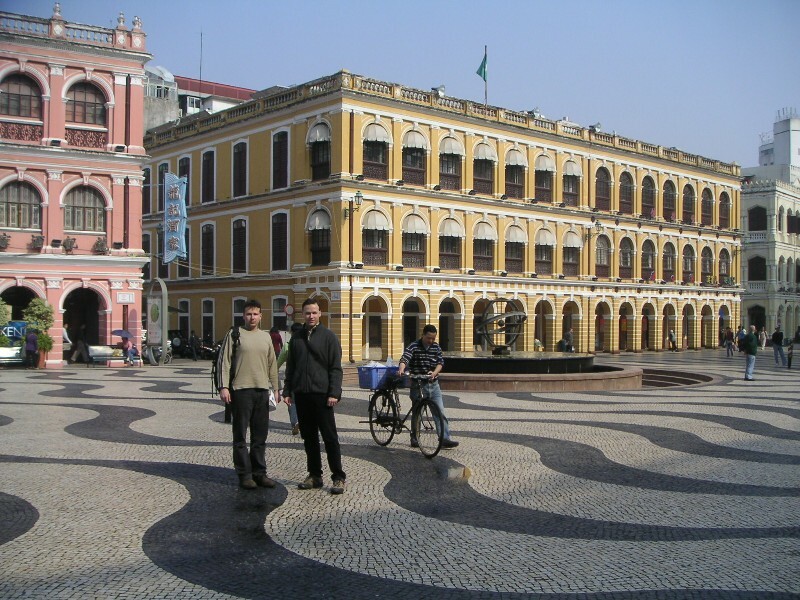 Gyula and Andras in the main square of the old city. 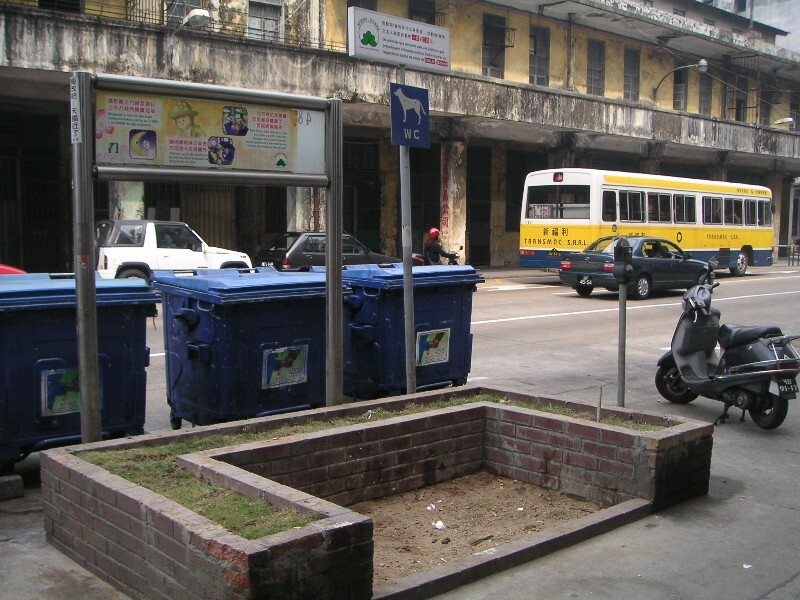 Note the typical Portuguese pattern on the square. The colonialists did not depart without leaving their mark! 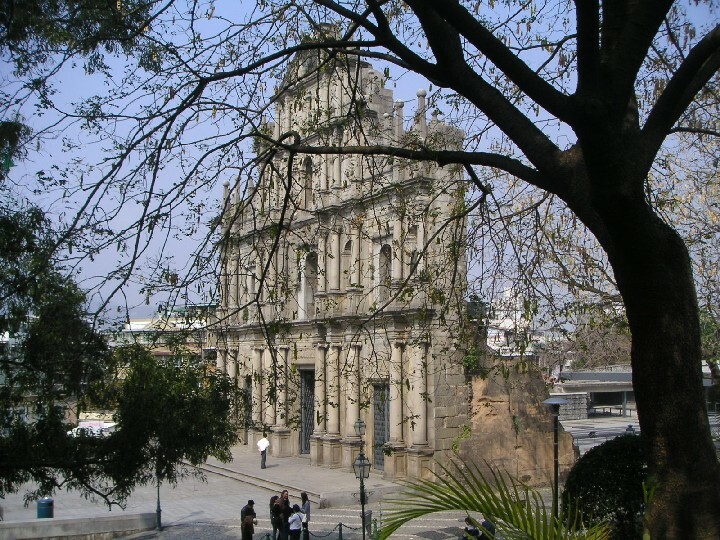 The 16th century St.Paul's Cathedral. Or what is left of it! 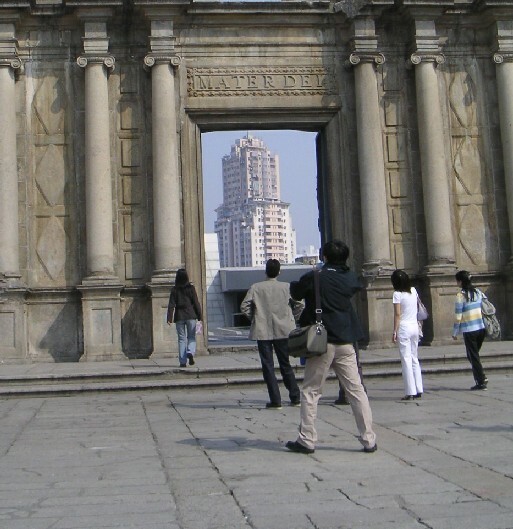 Most of the wooden structure was destroyed by a fire caused by a typhoon in 1835, but the stone facade with its intricate carvings remains. 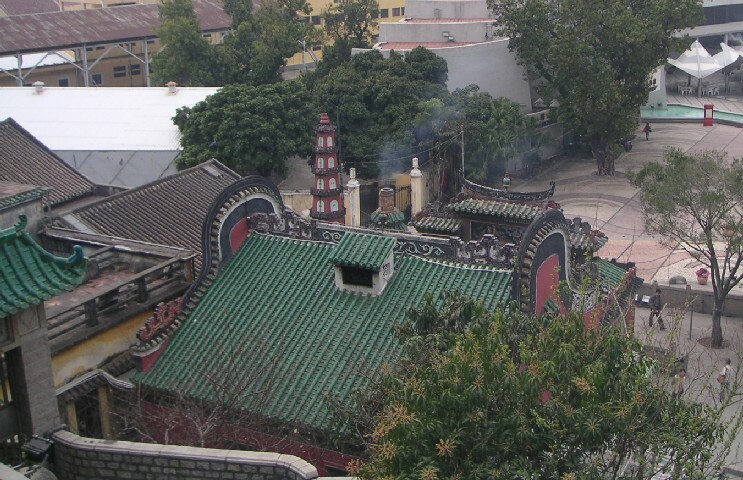 View from the fort next to the cathedral. 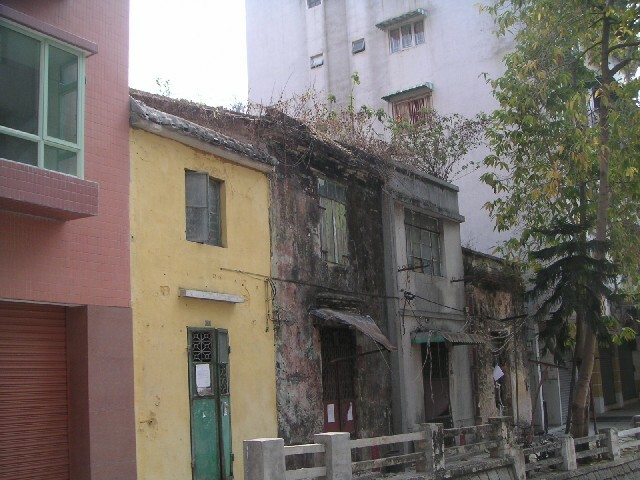 Modern urban Macao is not exactly pretty! 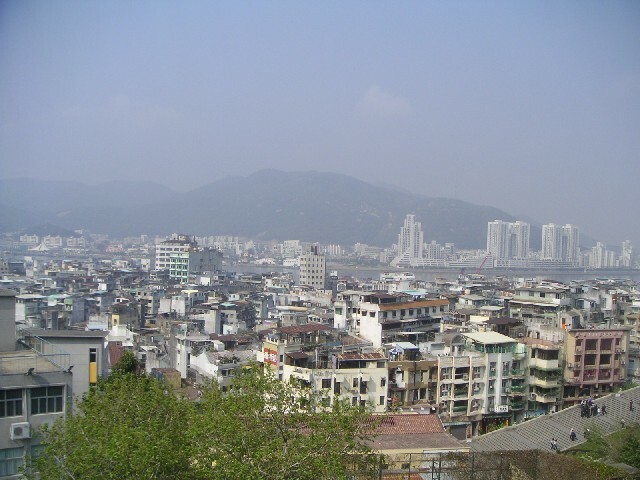 The buildings across the straight, at the base of the hills, are in mainland China. 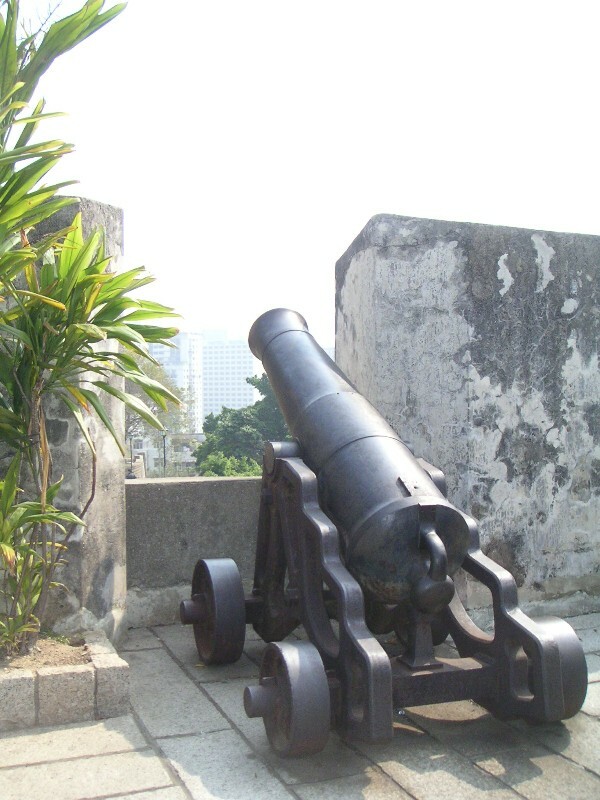 An old cannon, one of many, stands mutely in the old fort. Not surprisingly the cannon is very similar to the ones I have seen in the forts in Cape Verde, also a former Portuguese colony. 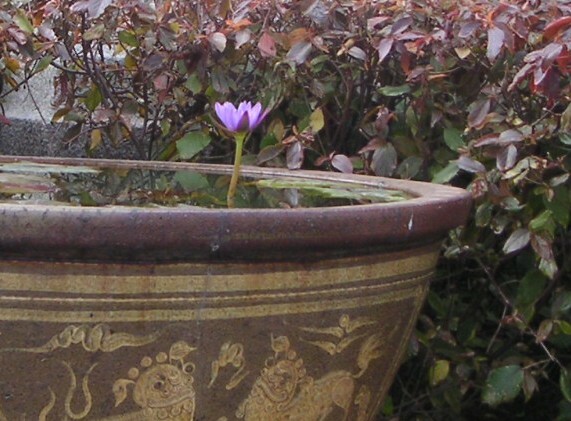 A lonely flower peaking out. 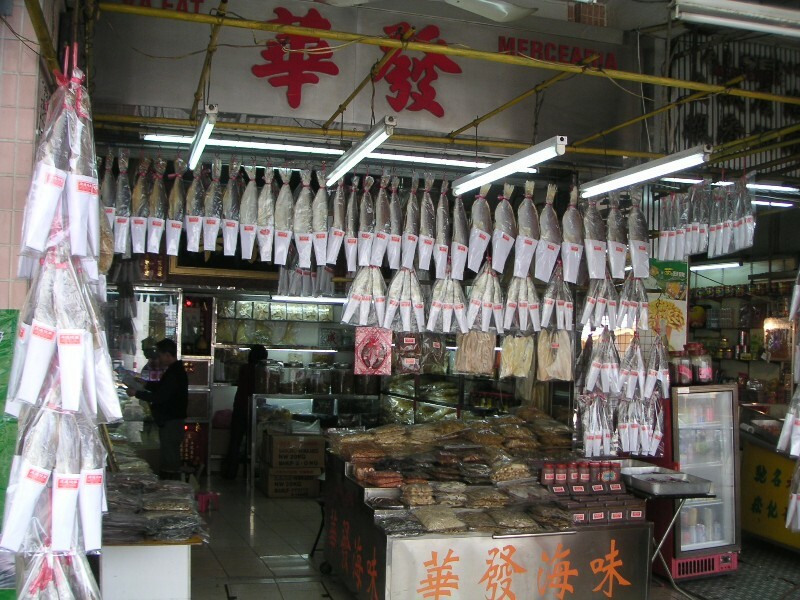 Fish is a main staple, and it seems that in spite of the fact that Macao is surrounded by water, there is a huge market for smoked fish. 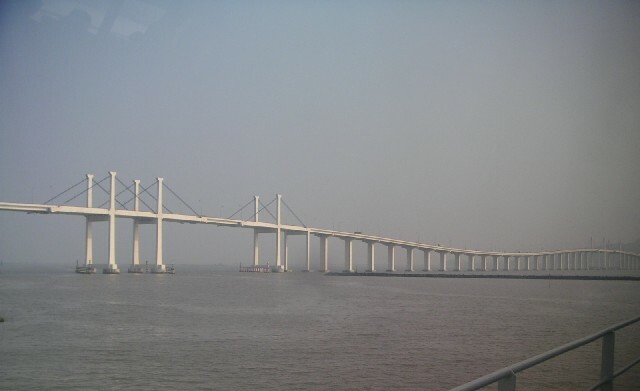 How come I have not seen this in cities that are supposed to be more advanced? A toilet for pets! 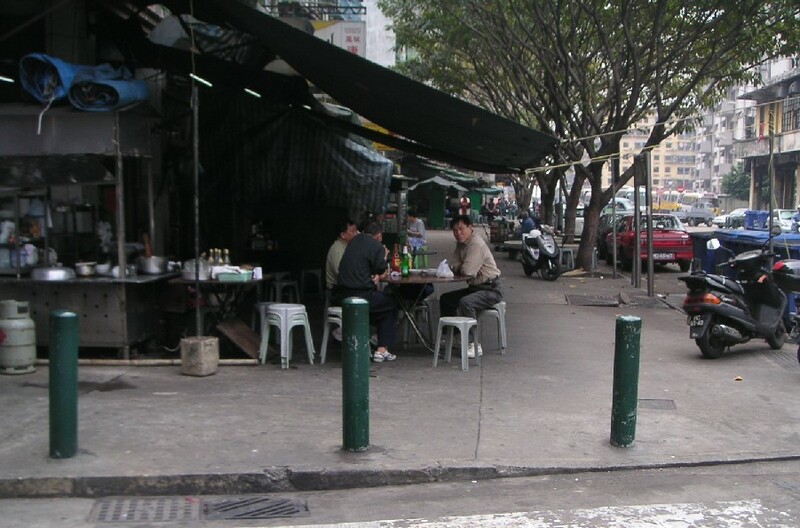 A drinking establishment - rustic, but serves the purpose! 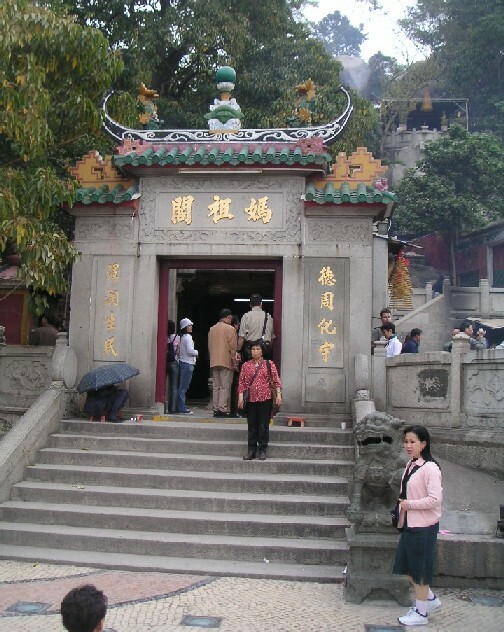 The entrance of the A-Ma temple, guarded by stone lions. 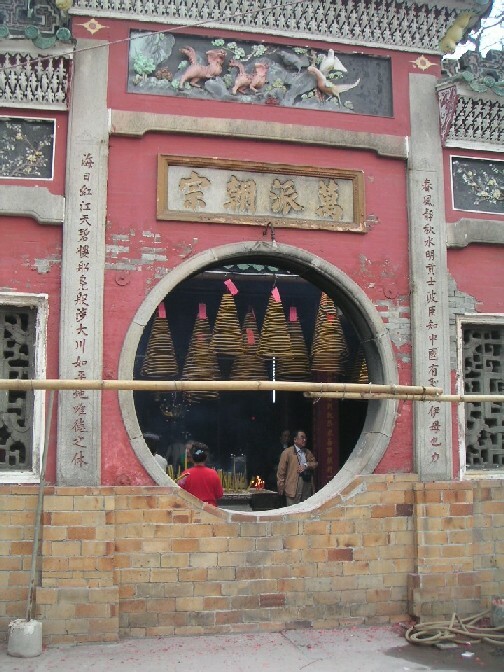 Details of one of the halls inside the temple grounds. 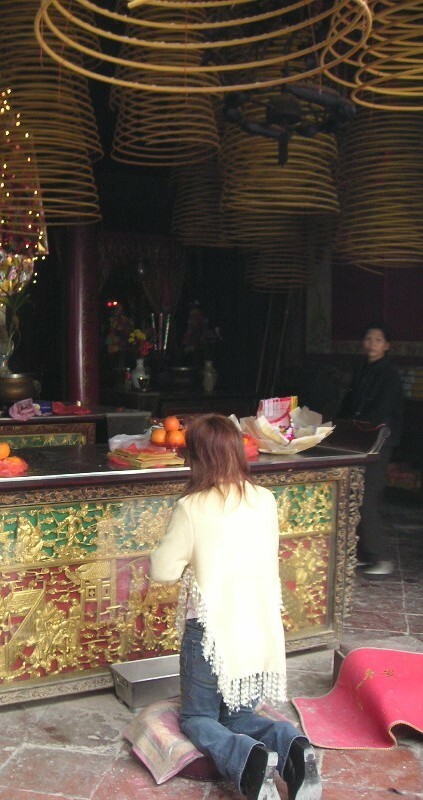 More details of life inside the temple. 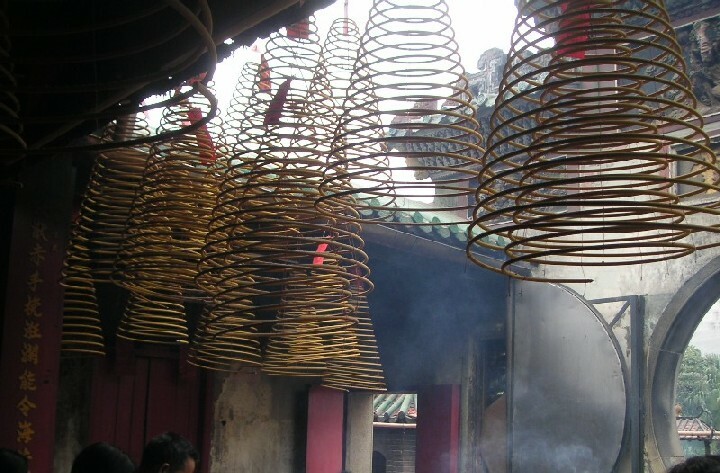 The large curvy things hanging from the ceiling are all incense sticks! 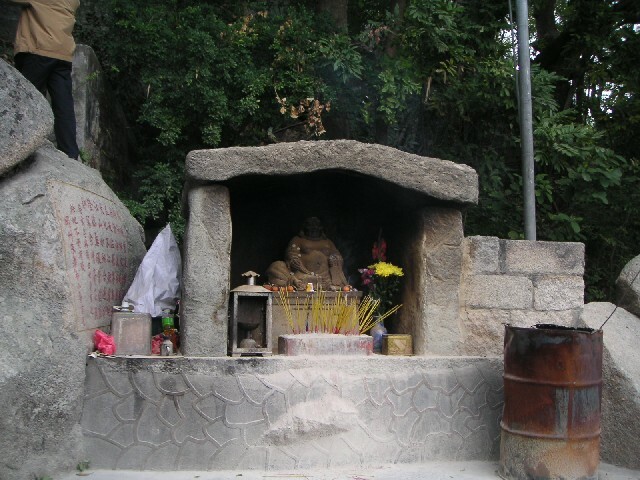 One of the many altars on the way up the hill behind the temple. 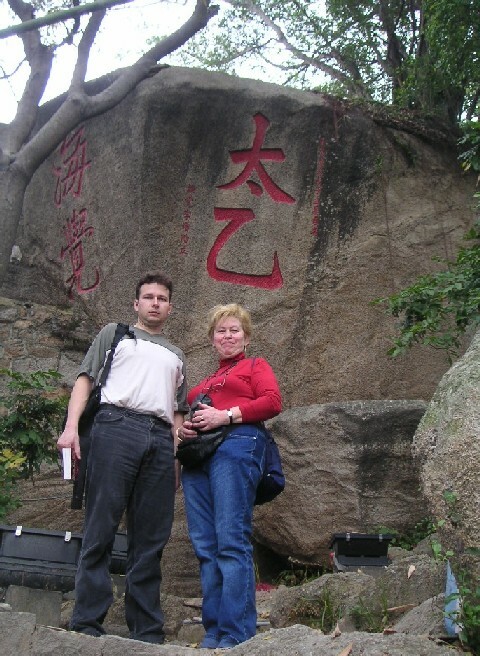 Gyula and his mom on the top of the path on the hill behind the temple. 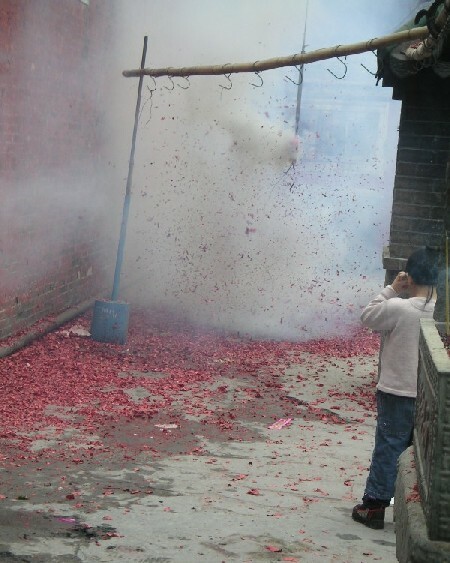 A huge bunch of firecrackers exploding, sure made quite a racket! 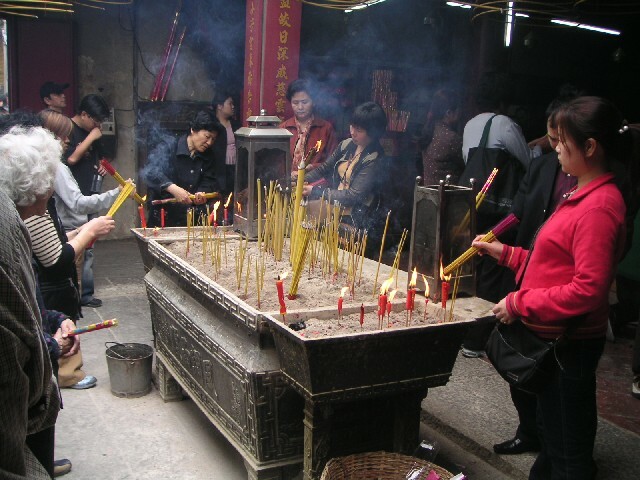 A friend of Chinese origin tells me that firecrackers were used at the New Year to scare away monsters and beasts that may harm people. 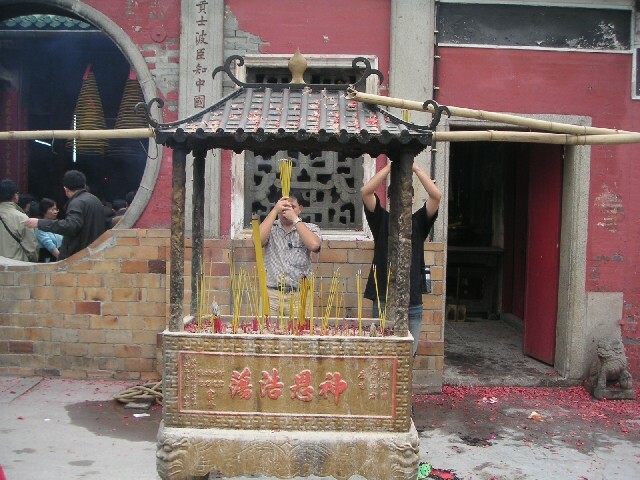 In fact the monsters reportedly also fear the color red and thus the omnipresence of this color in all Chinese festivities. 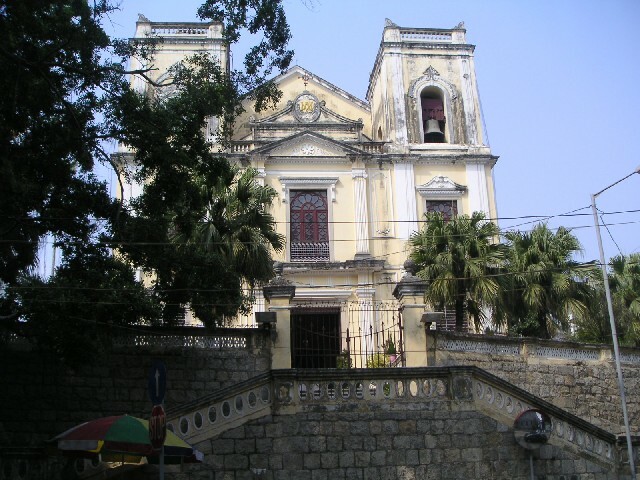 An old church still in use. Some old buildings between some newer multistory apartment houses. 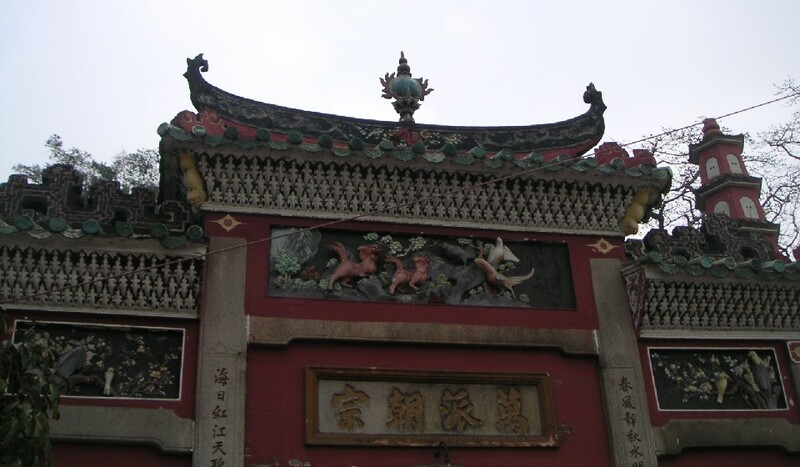 My guess is that originally these narrow 2-story houses dominated the streets. 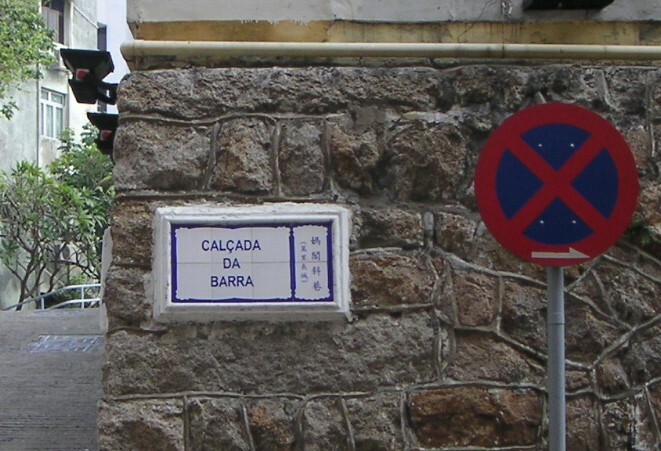 A street sign in both Portuguese and Chinese. Making the signs from ceramic tile is sign of the Portuguese influence, too. 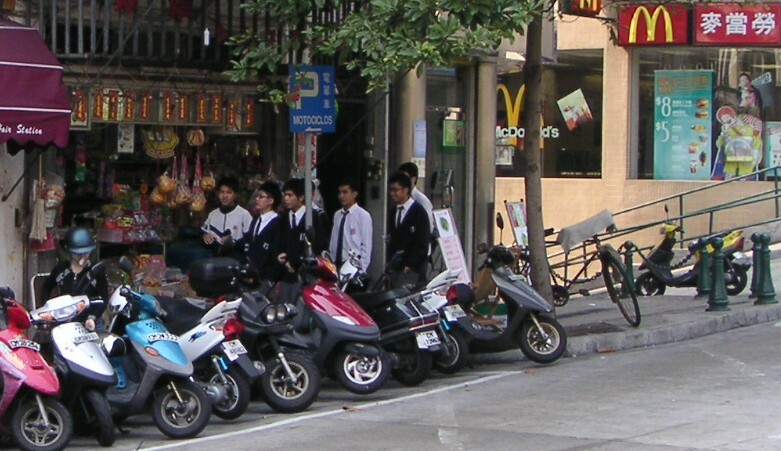 Street scene: a group of students in uniform on the sidewalk. Seems like schools are pretty conservative, as all the students we saw were in uniform. Note also the large number of scooters - the city is full of them. Behind them the parking sign is in both Portuguese and Chinese, but the McD's on the corner has its signs only in Chinese! 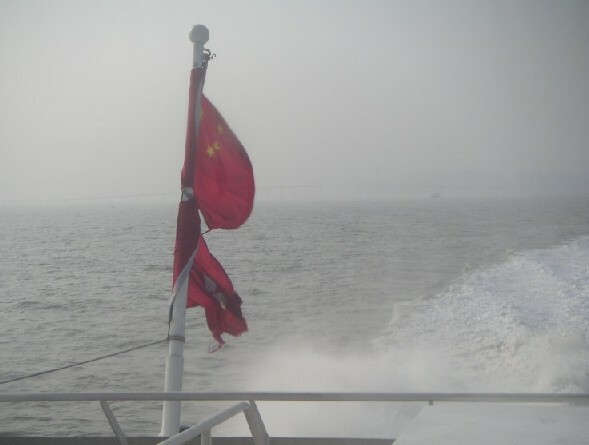 The Chinese flag of our ferry on the way back to Hong Kong.